What is the Fiat 500X Cross Plus all about? 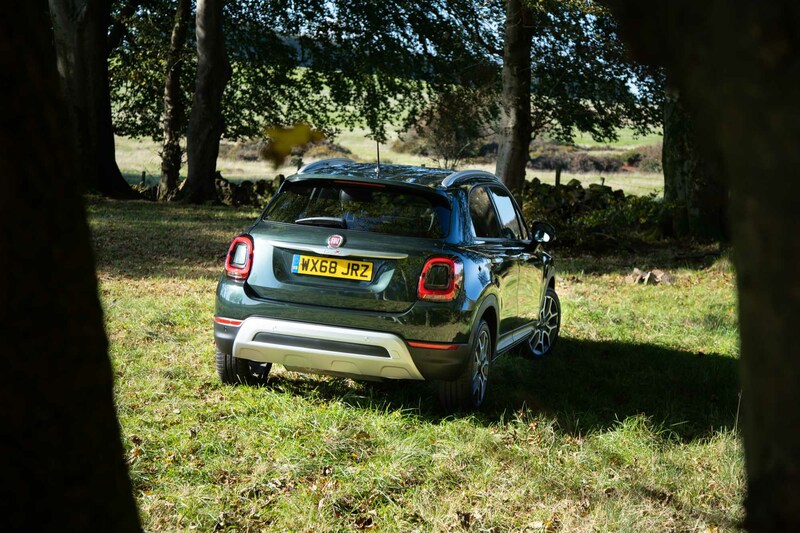 The Fiat 500X Cross Plus is a unique car because it is a crossover that boldly dons the moniker of the beloved 500. 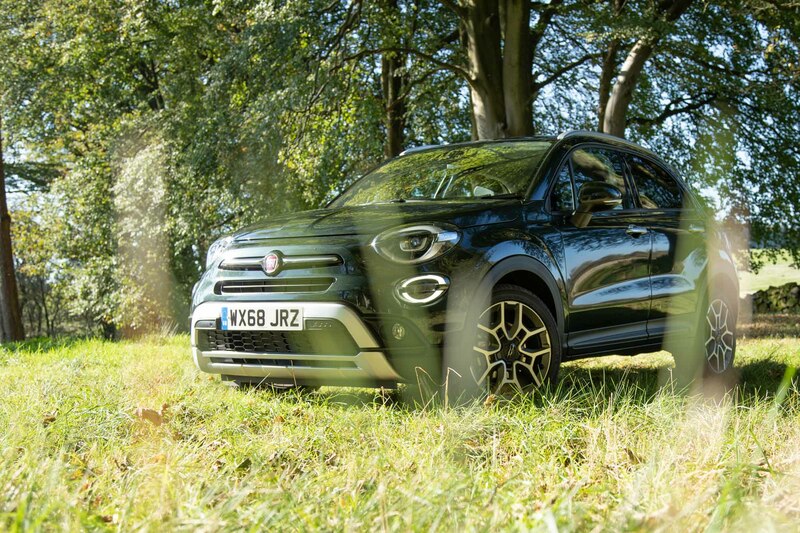 On the surface, for a model so centred on style and practicality, the Fiat 500X Cross Plus is a tempting prospect. 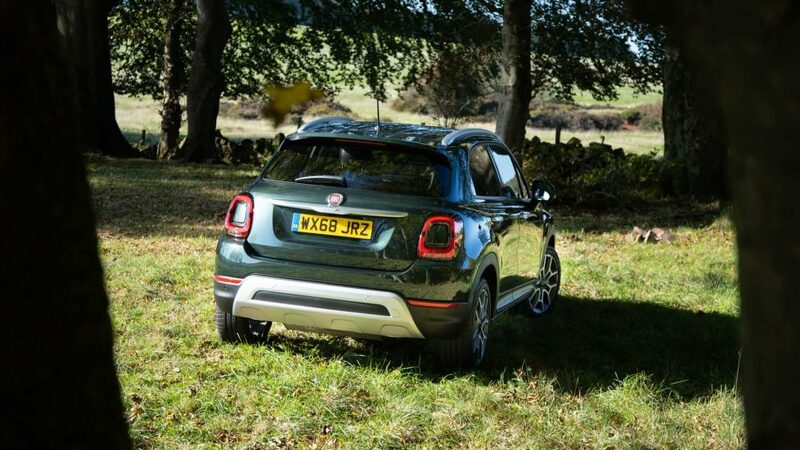 And when you compare it to the revered urban runabout, this little guy seems the one to beat. 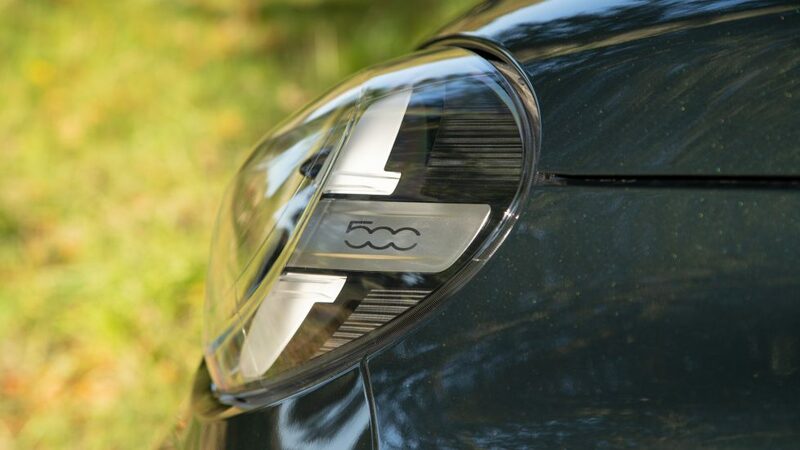 In terms of looks, Fiat has kept to the 500’s styling cues with its round and soft edges. But with the high ride and contrasting rugged cladding, courtesy of the Cross Look trim, it is ready for duty. 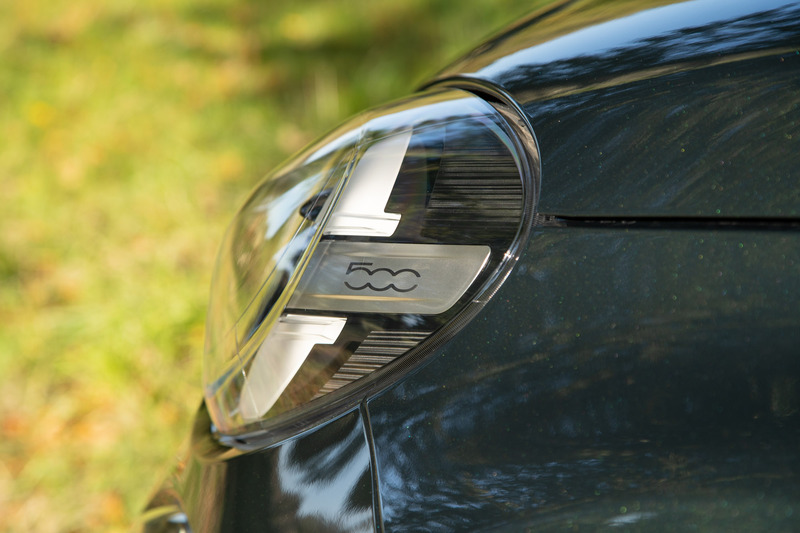 The 2018 500X Cross’ exterior benefits from a facelift: in the form of new exterior colour options, new daytime running LEDs that wrap around both new LED front lighting units, and fully LED tail lamps with body-coloured inserts. 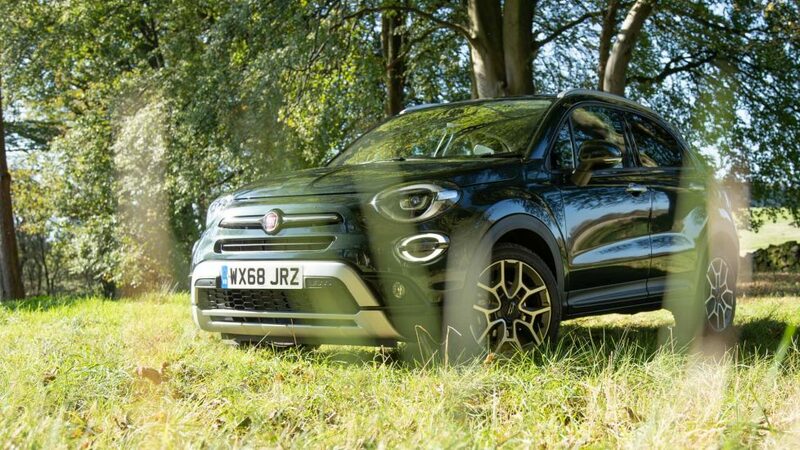 This may seem insignificant but it brings the Fiat 500X Cross Plus up to date. 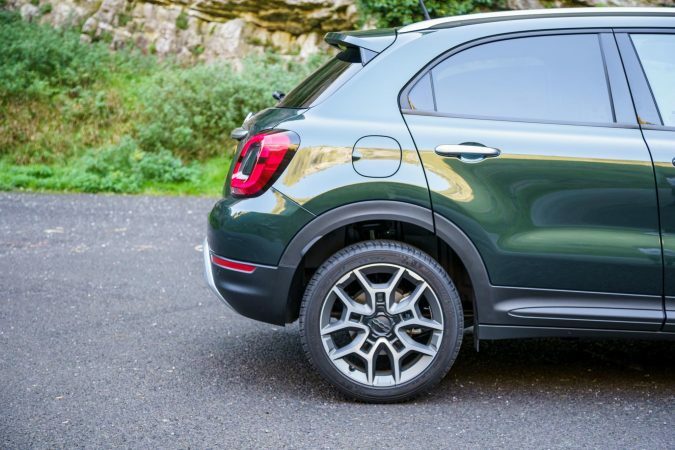 Our Fiat 500X Cross Plus is finished in Techno Green, which is a subtle, mossy shade. 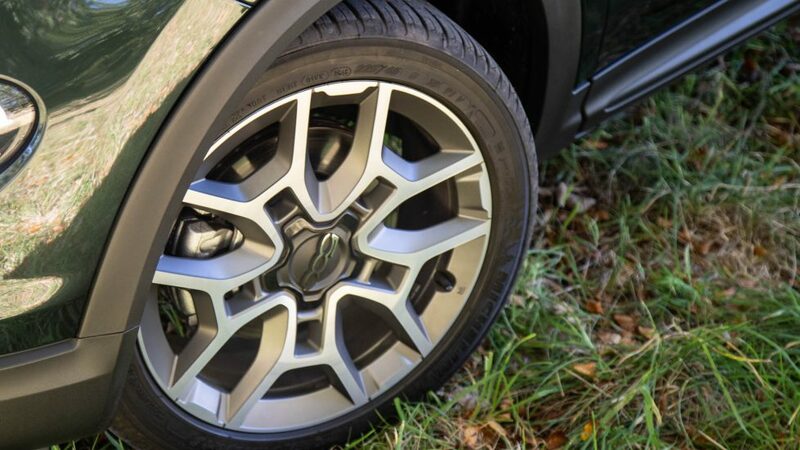 Riding on 18″ 5 twin-spoke alloy wheels, the model is suited to urban terrain. A more significant upgrade can be found underneath the bonnet. 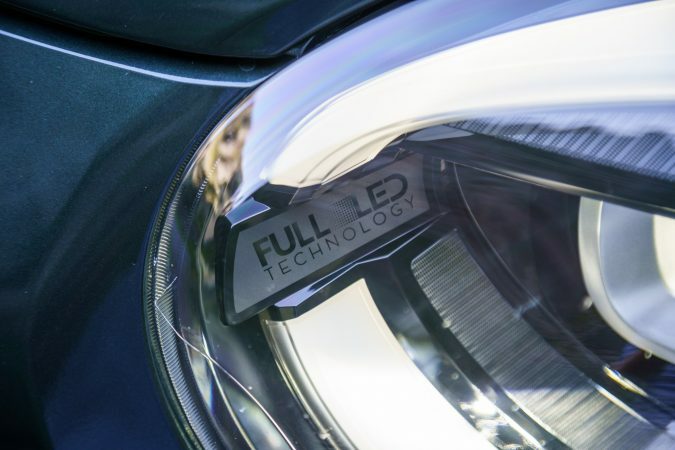 In lieu of the ageing MultiAir and Multijet2 engines, Fiat has debuted their new modular Firefly engines which replace other options in the Cross Plus trim. Our test model features a 1.0-litre turbo-charged inline-3 engine that produces a healthy 118 horsepower and 190 Nm of torque. Delivering all that engine roar is a 6-speed manual transmission as standard. 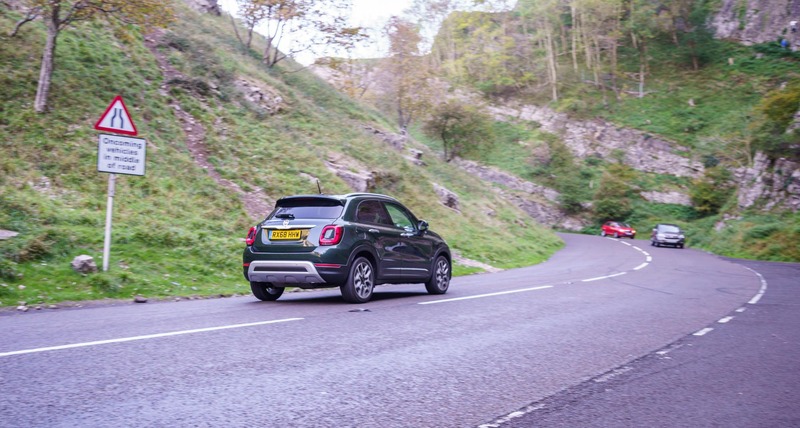 Power is delivered to the front wheels, propelling the Fiat 500X Cross Plus from 0-62 mph in 10.9 seconds, onto a top speed of 117 mph. Of course, the Italian brand’s main objective is to migrate to their new Fiat Global Small Engine family (Firefly) due to the increasingly stringent emissions standard. Mustering 47.1 mpg and emitting 139 g/km of CO2, it compares well with other subcompact crossovers. The only other drivetrain option you can choose is the 1.3-litre Firefly turbo-charged inline-4 engine that emits 150 horsepower and 270 Nm of torque. 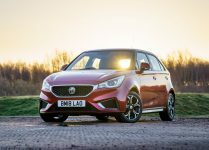 It’s also matched to a dual-clutch transmission, so it’s more suited to everyday use. 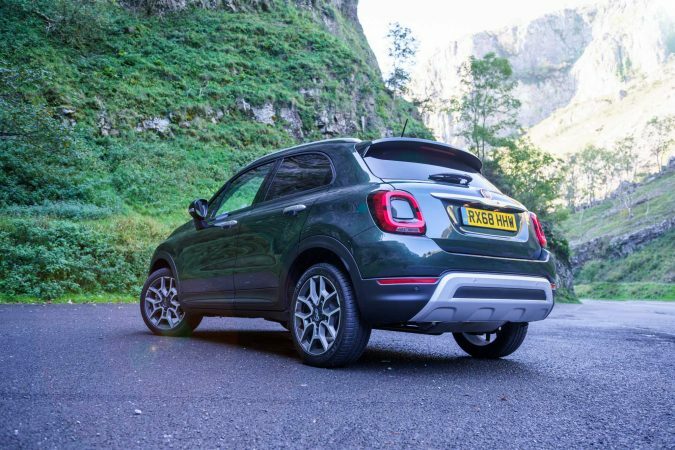 Tiny crossovers with small engines are trendy nowadays, and while the 1.0-litre turbo-charged engine standard is adequate for urban runabouts, some doubt if they can work in big cars, with my first look at the 500X, I think it is a good match. Such is the case with the 2018 Fiat 500X Cross Plus. 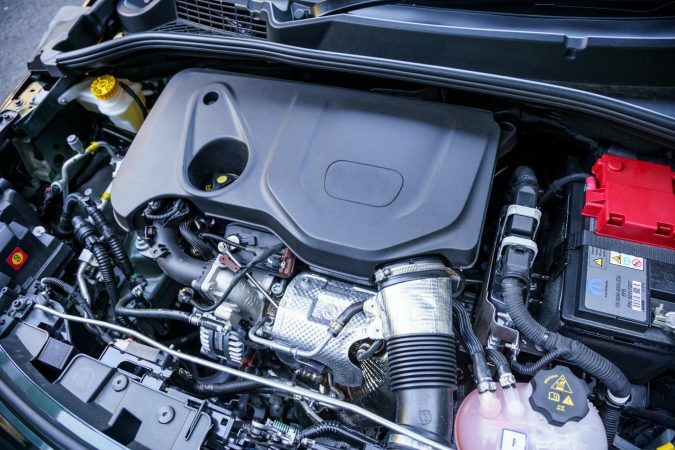 The turbo-charged inline-3 engine is quite punchy but not especially strong. However, as you depress the pedal and move through the gears, the engine settles down as the initial power falls off. That said, the prompt start-stop sprint translates into a pleasingly responsive drivetrain for the open road. Although you do have a clutch to work with, it is nice and light, so operating the 6-speed gearbox is not as difficult as it first appears. 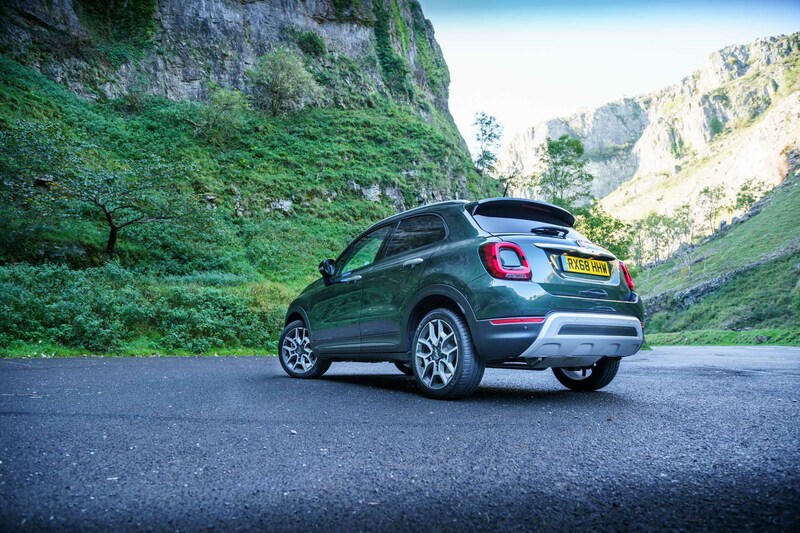 That said, the leisurely pace that the Fiat 500X Cross Plus accelerates at is due to its hefty 1,320 kg kerb weight. 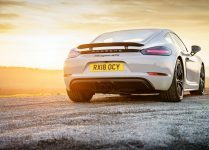 That is a lot for a paltry 1.0-litre inline-3 engine to shift, but it doesn’t really feel strained. 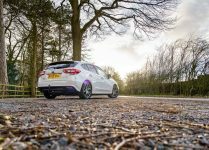 Thankfully the 6-speed transmission manages to keep the rpm reasonable at motorway speeds, and is geared short enough to make use of the powerful bottom-end torque in most scenarios. 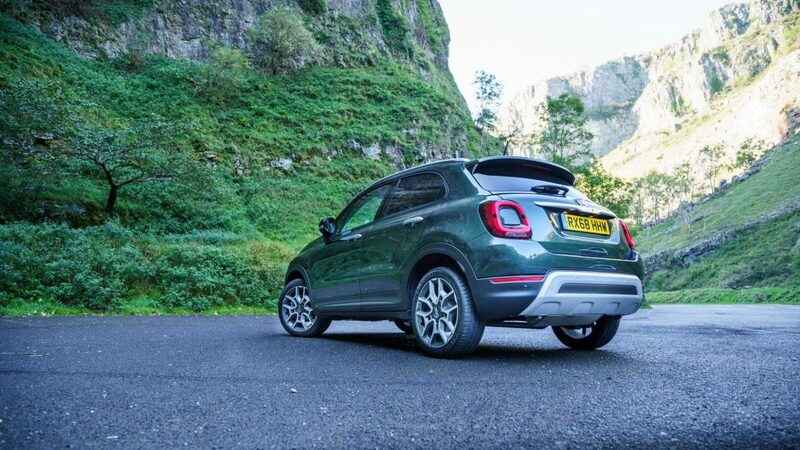 Generally speaking, while the Fiat 500X Cross Plus is weighty, it is tidy and neat around corners. 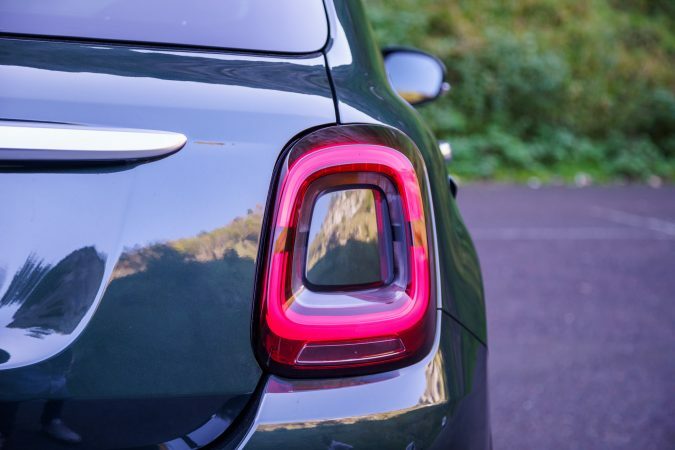 It can be hard to offset the weight, but its confident cornering manner means that it can negotiate the sharpest of turns. 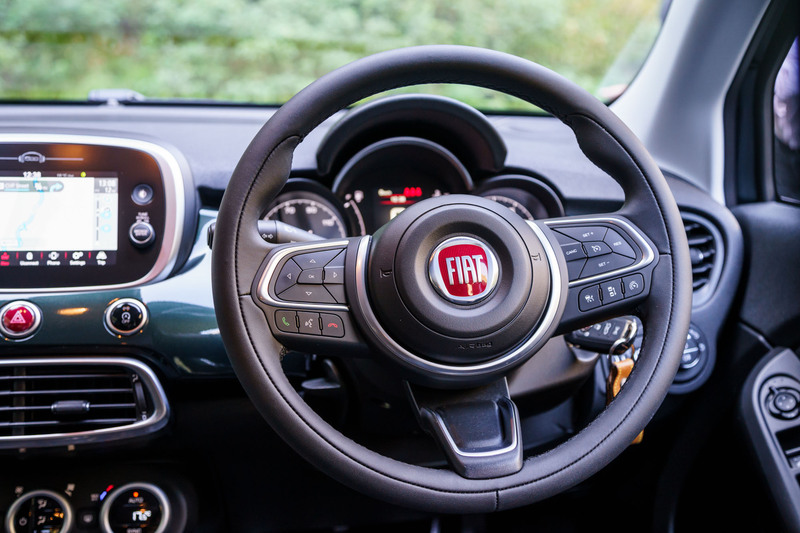 Grip isn’t an issue with the Fiat, and as long as it’s within its 2000-4000 rpm torque band, it can easily exit corners. It feels quite nippy because of the reassuring shifting action. On the motorway though, the 3-cylinder engine exhibits a coarse, vocal note at times. It is definitely one of the better inline-3s out there, being startlingly refined even during cold starts. The interior cabin is unexpectedly mature in its design. 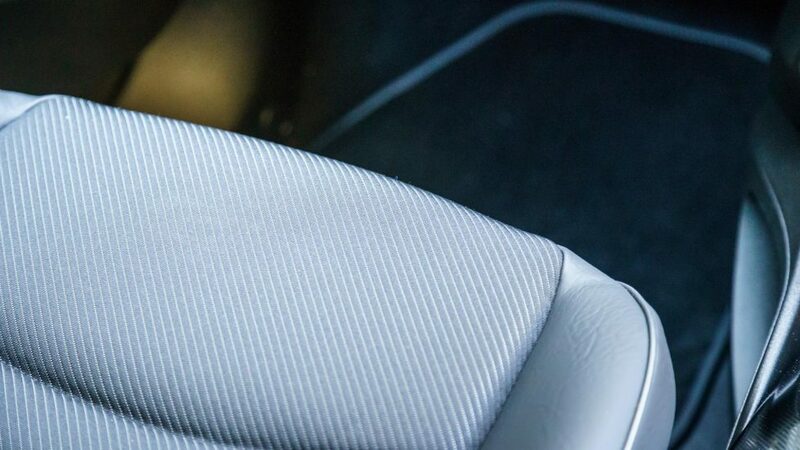 Our ‘half-ecoleather’ seats feel great and welcoming, and the cabin radiates warmth and elicits an accommodating feel while being modern and smart. You’ll notice that every element in the interior is rounded off, with a coloured dashboard insert that corresponds to the exterior hue. The centre dial of the instrument cluster is now a 3.5″ coloured screen, but maintains a circular bezel. 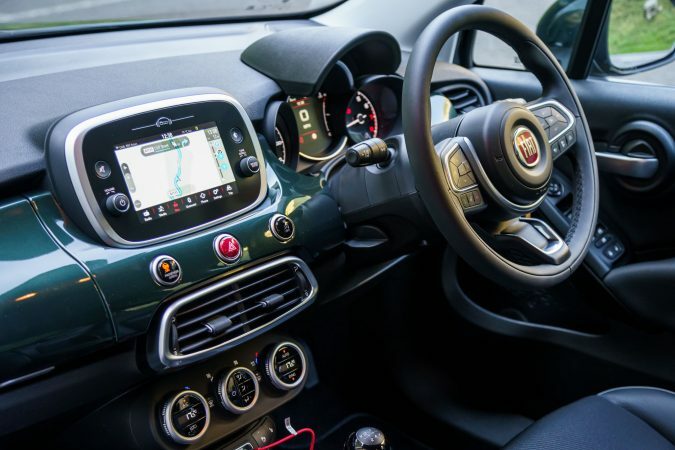 The infotainment system has also been updated to include Fiat’s contemporary 7.0″ touchscreen that’s years ahead of previous models. Below the screen are an array of classy dash-mounted buttons that work intuitively. 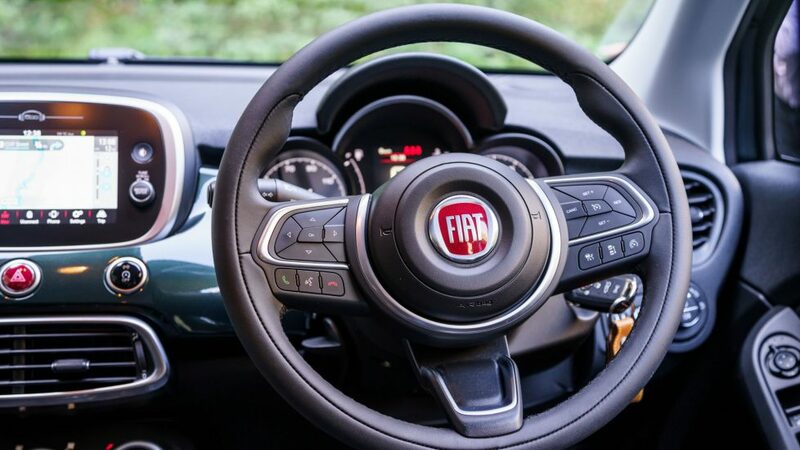 Build quality is up there with the best, and Fiat’s material choice is satisfactory. You’ll also notice lots of small item storage thanks to the ‘pelican-beak door cabins’, and the front seats offer space aplenty. While it is a tall-riding car, the driving position is only slightly above normal saloons. Rear seats are quite capacious as well, with the rear cushioning being flat and bench-like. It’s a compromise made to incorporate completely flat-folding backrests. Open up the boot and you’ll be greeted by a generous capacity of 350-litres, which compares well with rivals. 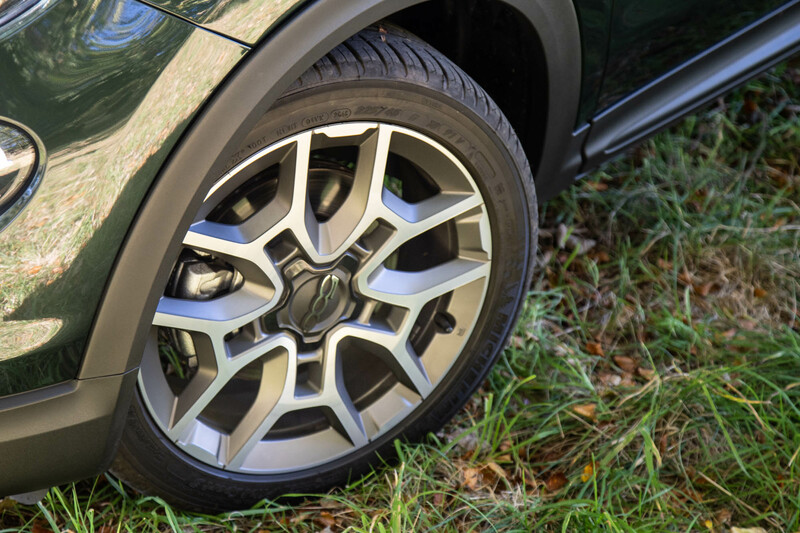 However, it includes a spare wheel instead of a puncture repair kit, which reduces storage space to 245-litres, but will please some customers. 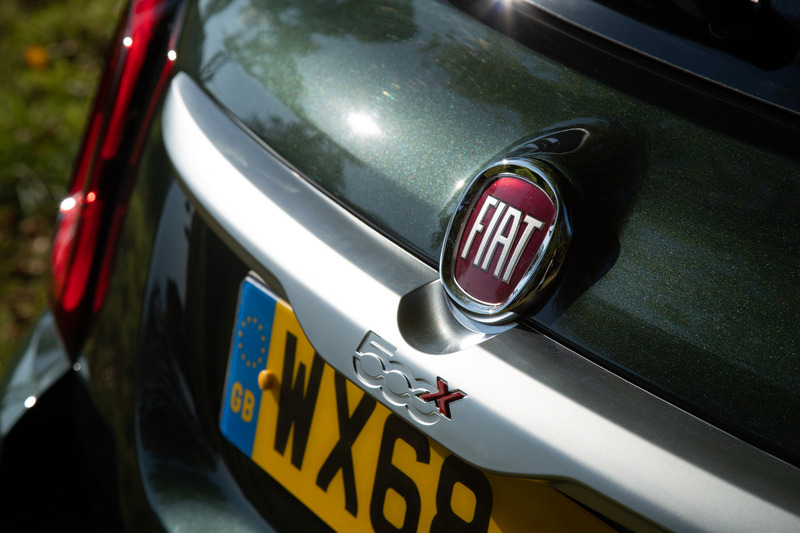 Overall, the Fiat 500X Cross Plus offered an enjoyable experience. It does not prioritise style over substance and fares well against other vehicles in this segment. While the Cross Plus sports a tough look, I doubt that the 500X Cross will perform well off the beaten track. But it will manoeuvre well through tight city traffic, while clearing speed bumps or semi off-road terrain just fine. 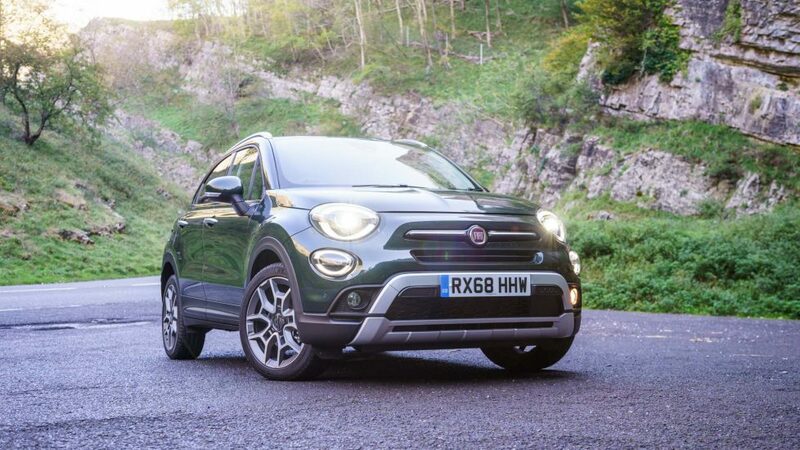 If you want a Fiat 500X Cross Plus that’s as fleshed out as ours: including the Comfort Pack, Active Safety Pack, Winter Pack, Premium Pack, etc, then be prepared to shell out £23,380. 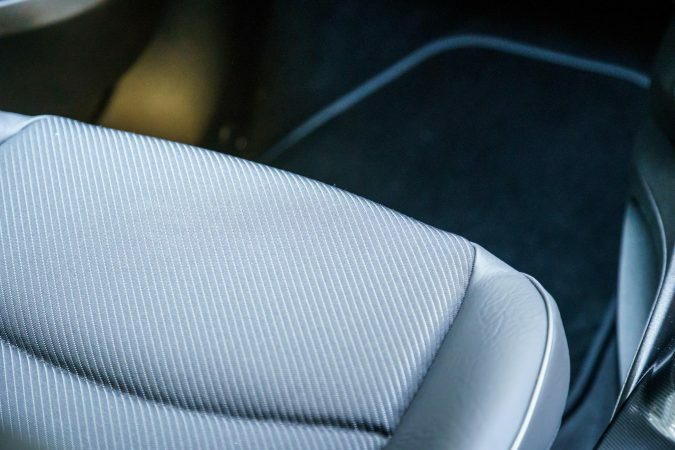 A standard Cross Plus still comes with many features, such as: automatic dual-zone climate control, six airbags, daytime running LEDs, half-ecoleather seats, etc. 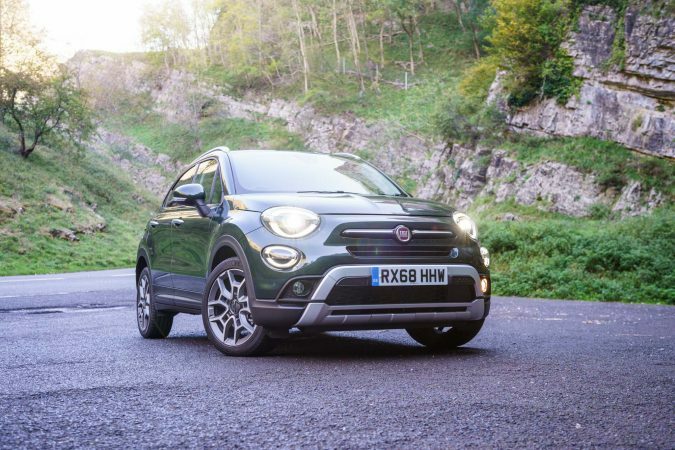 A standard Fiat Cross Plus will cost £20,995, but I suggest that you could stick with the standard Cross and save £2,000, as it’s essentially the same experience, except for some additional technology. 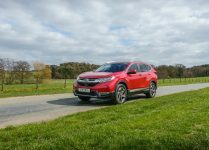 It is worth noting the entry-level 500X comes with the updated 1.6-litre E-torQ inline-4 engine, that now meets Euro 6D pollution reduction standards. 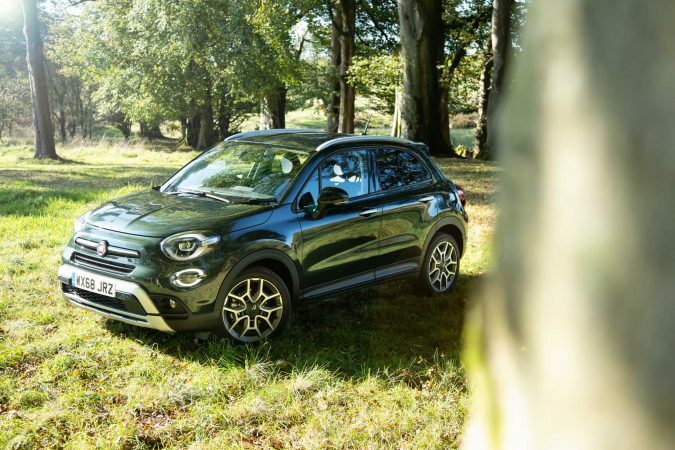 If it’s a subcompact crossover you’re after, then you can’t go wrong with the Fiat 500X Cross Plus. 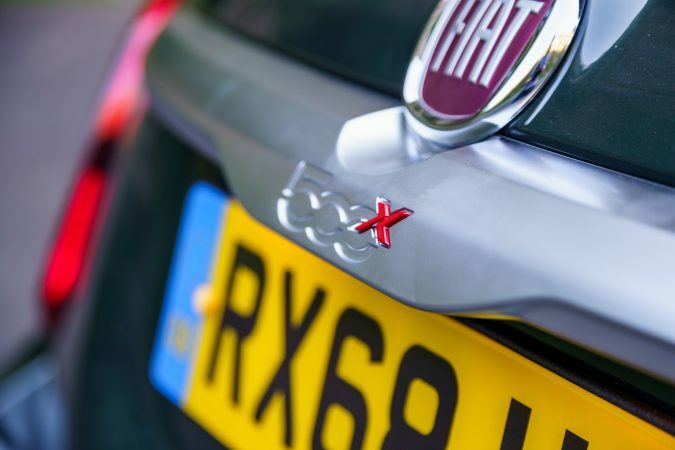 In fact, if you love the whole Fiat 500 cute aesthetics, then the 500X Cross Plus is one of a kind. Some may say it’s just a plump 500 sharing the Jeep Renegade chassis. While that may be true to a certain extent, it is unquestionably a well-executed crossover. 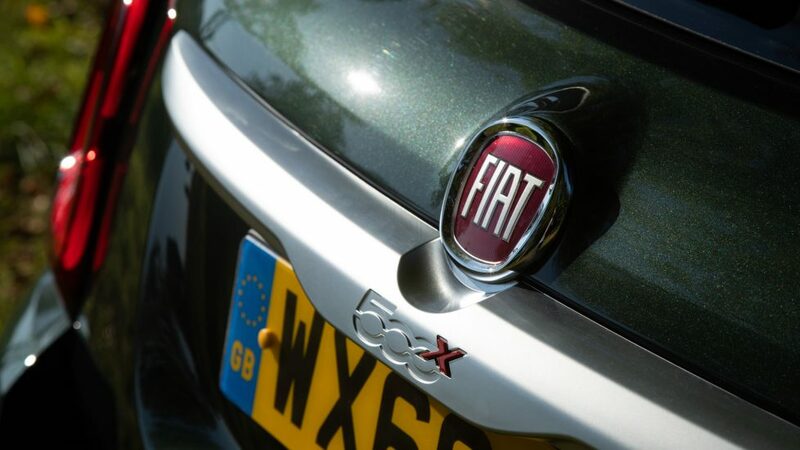 And being a Fiat, it just has that inexplicable Italian allure. In terms of competitors, if you want a funkier, more futuristic-looking crossover, then the Hyundai Kona is a solid contender which also has a full EV powertrain. 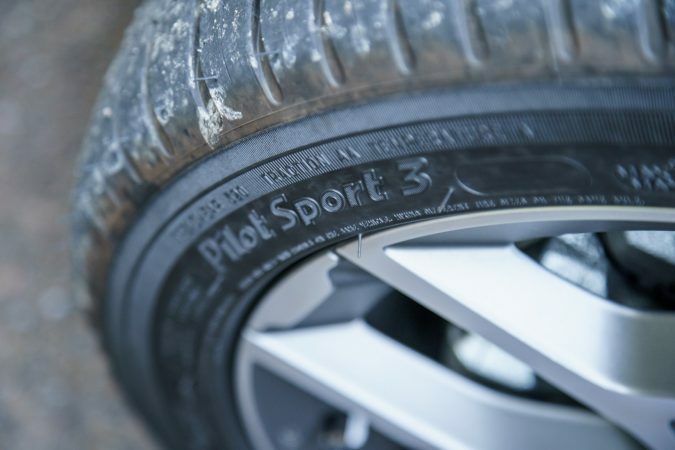 If you want all-wheel drive, then take a look at the Ford Ecosport. The Jeep Renegade provides a cool alternative to its Fiat rival, albeit more off-road focused. 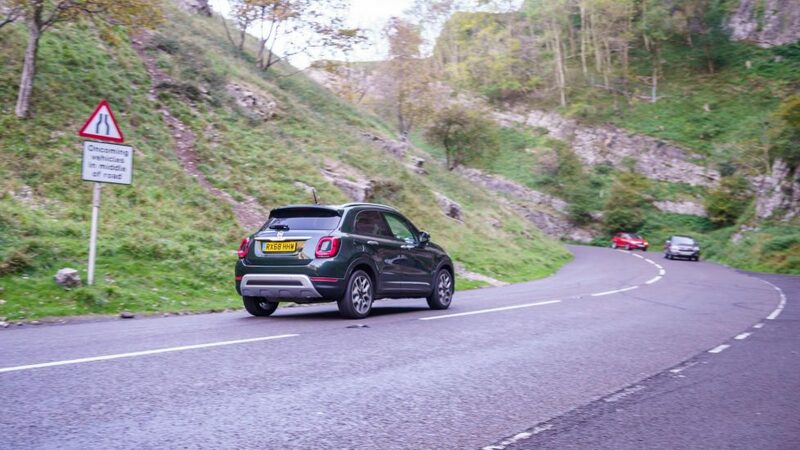 Otherwise, the 500X Cross Plus is a perfectly viable crossover to have.